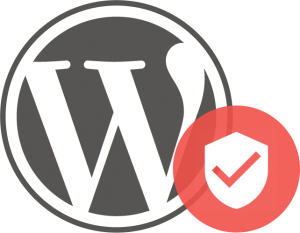 Websites designed and built by The Wire include WordPress Security & Maintenance plans to prevent site break-ins and hacks and keep sites running smoothly. Proactive approach to security combines firewall, hardening, malware scans & fixing potential threats before they become a problem. Keeping your software up to date is imperative. One of the main reasons why websites get hacked is outdated software. Frequent and reliable off-server backups are essential to quickly restore an impacted website. *Off-server backups depend on your site size and activity and options can be explored. We recommend at least 7 daily / 6 weekly / 3 monthly. Additional backup space $5/10GB. **The small fixes option is designed to take care of conflicts that arise upon updates. Additional work $100/hr. Our web development team will help you get the most from your WordPress website. Every site needs small fixes or tweaks. When small stuff happens or you have a rush need we’ll take care of it. Want your site to do something new? Does your site need a complete overhaul? Let us know what you need and we’ll make it happen. From page loads to SEO readiness, we will get your site in top form, and keep it there. Start with a free expert website review.